With a shared vision, a clear mission and by living our values, we can work together to ensure that Universal Cargo is the industry's best. Sharing a passion for safety and wellbeing. Encouraging and enabling people to do their very best. Recognising achievement. Treating each other fairly and equitably. Communicating effectively. Listening to each other. Getting people involved and respecting them. Supporting each other. Working with our customers for mutual benefit. Judging our actions by their impact on our customers. 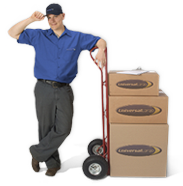 To always provide our clients with the most reliable and effective household goods forwarding service.